Quick, easy cleaning solutions to a clean home in just a week. The Spring Cleaning season is here. 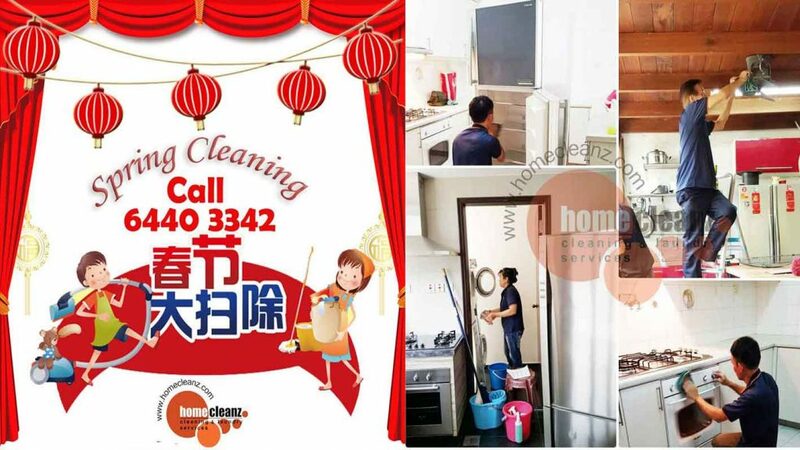 With only two more weeks to Chinese New Year, global science company 3M has put together a handy list of fuss free solutions to help you rid your home of spots and dust, and get organized while staying protected. Wipe away spring cleaning woes with 3M’s latest disposable mop – the Scotch-Brite™ Easy Sweeper Plus. The mop traps more dirt and dust in one single sweep with a new mop plate design – a raised cushion to create a ‘suction’ effect while sweeping, and a honeycombed patterned design which grips and traps dirt. The mop makes cleaning hassle-free with refillable wet and dry wipes and a height-adjustable lightweight stick. 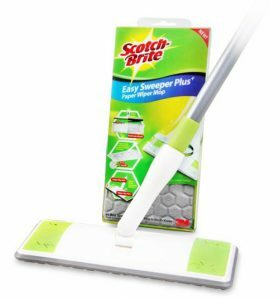 The Scotch-Brite™ Easy Sweeper Plus retails at $23.95 (inclusive of five sheets of dry refills) at most major super and hypermarkets. 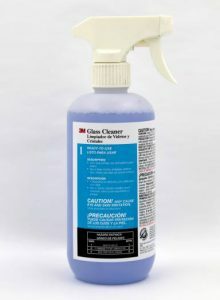 Ensure floors are spotless and shiny with the 3M™ Easy Trap Duster. Using specially developed disposable sheets with industrial cleaning capabilities, the duster traps up to 8X more dirt than traditional flat-fringed cotton dust mops and features low drag on both wet and dry surfaces to reduce fatigue. No extra equipment is needed. Simply wrap the duster around current dusting tools and flat mops and you’re good to go. 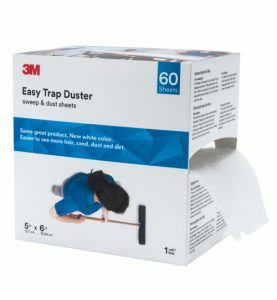 Grab the 3M™ Easy Trap Duster (sweep and dust sheets) at a promotional price of $19.90 a box from online shopping portals Qoo10 and Lazada (usual price: $24.90). Stubborn stains are every homeowner’s worst enemy. Enjoy spotless windows and floors with the 3M™ Twist ‘n Fill™ Cleaning Chemicals, a multi-purpose fresh-scented formula that is gentle on surfaces, yet tough on stains. For the eco-conscious, the chemicals are Green Seal-certified, ensuring that they meet rigorous performance, health, and environmental criteria. Cut through the clutter with the Command™ Broom Gripper. This storage companion can hold up to 1.8kg in weight, clasping in place a wide range of household items from clothes drying poles to kitchen mops. The gripper will also free up precious floor space without the use of nails, screws, or messy adhesives. As with all 3M Command solutions, the adhesive is damage-free, meaning no ugly peeling or residue should you choose to reposition or remove the broom gripper. The Command™ Broom Gripper retails for $6.95 each at most major supermarkets and hypermarket stores. Maximize and customize your vertical storage space to your individual needs with the Command™ Medium Wire Hooks. Featuring thin but sturdy hooks that holds up to 900g, the handy solution makes hanging items with small holes easy. They are best suited for items that should be easily within reach, such as pots and pans, the hairdryer or car keys. The hooks also use 3M adhesives that are damage-free. These all-purpose hooks retails for $5.20 for a pack of two, or $9.90 for a value pack of seven at most major supermarkets and hypermarket stores.